1. Instant brand recognition for those that already knew me personally. Starting a freelance career is scary enough as it is. Worrying about income and whether or not you’ll have enough clients or customers to sustain yourself is utterly terrifying. And brand recognition is a very real and very important part of a successful company. Gosh, it takes companies years and years of advertising to get people to remember their names. It felt so daunting to me to start from scratch with a new business name and hope that people would remember it. At least, if my company was Joanna Dee Studio then I would already have 20 plus years of “brand” recognition under my belt. 2. My clients hired me because, like them, I was also living that small business life. Several years into the freelance game I started thinking about a rebrand. The visual elements of my brand needed a facelift, and it also felt like a good time to revisit the overall identity of my company. So, I went back to the same question, “Should I give my company a name other than my own?” It always felt a little odd when people asked me what my business name was and I simply replied with my own name. I always worried it felt kind of arrogant and a little too me–centric. As I began to think about a brand name change I started brainstorming and asking myself why my clients chose me in the first place. Why did my clients choose to hire me over another freelancer or more importantly a design agency? At the heart of that answer was that they were indeed hiring me. They trusted me with their business. They bought into my vision, and they had usually come to me because someone else they knew had worked with me and had recommended me. My clients typically fall in the small–business category—those hustlers who are crafting careers out of the things they are most passionate about. When they land on my website or Instagram page, they can pretty much tell that I’m the exact same way. And when I started looking at it from that perspective, it occurred to me that there is a huge reason why someone hires an independent freelancer vs. a big design agency, and that’s because they want to feel like they are working with a person, an individual. They want the personal attention that a freelancer can give them to take care of their business, their biggest dream. 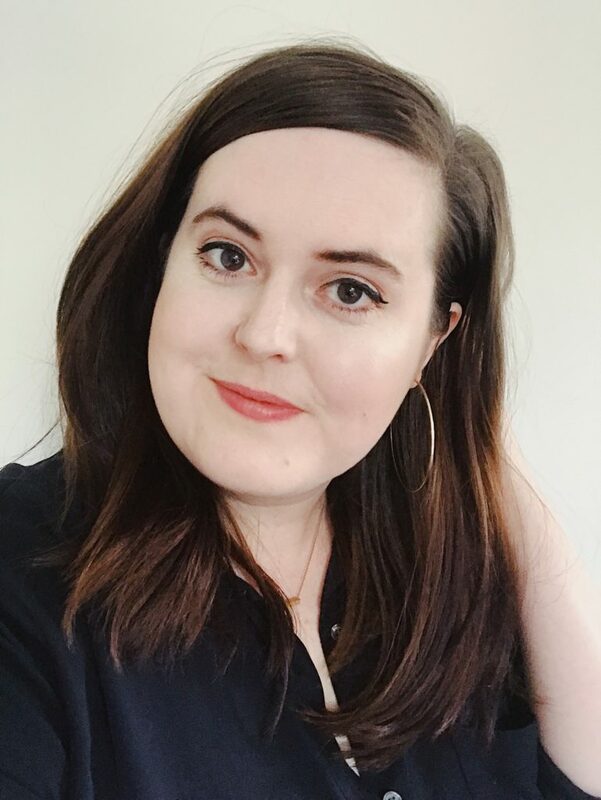 Light bulb moment: My clients were hiring me because I was me—a highly passionate dreamer, a go–getter, someone just like themselves, so why would I hide behind a business name? 3. 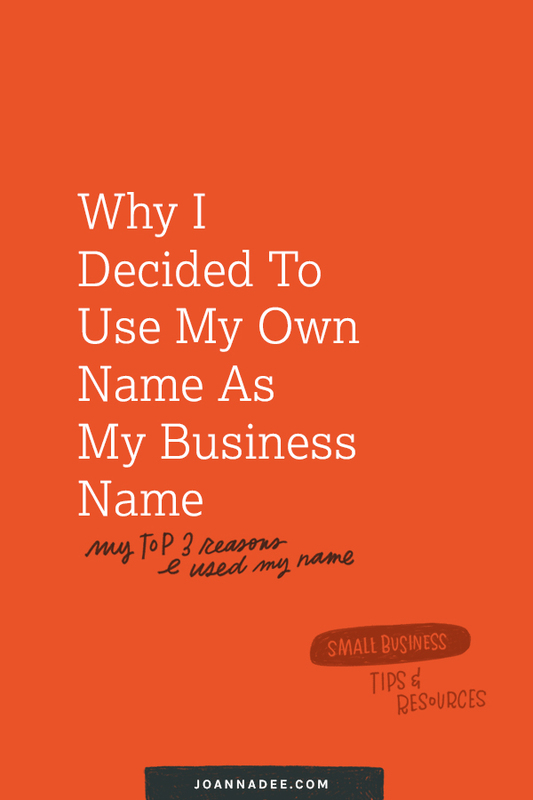 My own name gives me the ability to grow or even pivot my business if necessary. This reason is HUGE and essentially the final reason that persuaded me to stick with my own name. I’m a girl with a lot of ideas, like too many ideas. I’m that girl that’s constantly dreaming up new products, businesses, and side–hustles. Some I might actually tackle, others might get shelved in the back of my brain never to be used. But here’s the thing, when you are a highly passionate person who gets super excited about new business ventures, you can never truly guarantee where your career will end up. I know I’ll always be working in the creative field in some capacity, but my career has already grown and pivoted in ways I hadn’t even expected less than 10 years ago. I was a designer for the music industry for the first portion of my career, pretty much exclusively designing album artwork, tour merch, and websites for artists and musicians. Today that’s only a small sliver of what I do. Back then I didn’t really work with small–businesses, and I didn’t have an illustration line, let alone even market myself as an illustrator. Now, my illustration line makes up almost 50% of my income. Less than 10 years ago had I created a business name specific to the music industry that name would be obsolete now. I would have built up a following around album artwork, gig posters, tour merch only to have to ditch that brand and start over completely, building a new following with a new name for an illustration line. Instead, I’ve spent almost a decade building a brand that isn’t specific to an industry. I’ve tried really hard to build a brand that sounds like me, that is reflective of my values and my personality. In doing so, I’ve cultivated a small, but loyal following who wants to support me no matter what my current endeavor. And so, in another decade, if I pivot and change my business direction, I have a brand that is flexible and an audience who is totally along for the ride. Am I making sense yet? I’d love to hear from you. Do you have any hang ups when it comes to naming your company after yourself? Are you struggling with your company’s business name? Hit me up in the comment section and tell me what works for you and your brand.